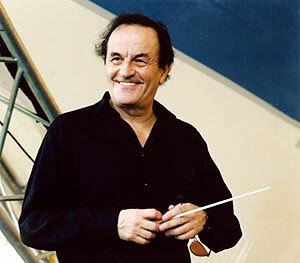 The highlight this week is the welcome return of Charles Dutoit to the Toronto Symphony to conduct a concert version of Berlioz's La Damnation de Faust (Feb. 26 and 28, 8 pm, at Roy Thomson Hall). Despite the very striking Robert Lepage production mounted at the Metropolitan Opera that was shown as part of the current Met in HD series, this piece is problematic as a staged work due to its static nature. Here we will have a performance as originally intended. Heading the cast is a trio of operatic veterans - mezzo Susanne Mentzer as Marguerite, bel canto tenor Gregory Kunde as Faust, and Sir Willard White as Mephistofeles. Also featured is a rising star, New Zealand bass baritone Jonathan Lemalu in a supporting role. Mezzo Mentzer has sung at the COC in the past, and I have heard her on a number of occasions in Santa Fe. A noted Rosina, Cherubino and Octavian, among other roles, Mentzer has moved - perhaps too soon - to character mezzo parts in recent years, as the voice is still in fine shape. It is good to know that she has not left the leading roles entirely behind her and I look forward to her Marguerite. Having made his name in the bel canto repertoire, tenor Gregory Kunde has branched out to a broader repertoire as his voice has grown in size and heft, including a very fine Aeneas in Berlioz's Les Troyens a few season's back. He is known for his handsome stage presence and high notes to burn, which I had the pleasure of hearing several seasons ago in a Santa Fe Opera Ermione. I also recall his Camille in Merry Widow for the COC more than 20 years ago. His voice is undoubtedly very different now, and he will have the power and presence to be a creditable Faust. Completing the trio will be Sir Willard White. He is the Wotan in the current Ring at Aix en Provence, so it will be interesting to hear him in a French role. Elsewhere in the concert scene, violinist Midori will give the third of her performances of Shostakovich Violin Concerto No. 1 with the Toronto Symphony on Feb. 21, 7:30 pm at Roy Thomson Hall. A frequent visitor to Toronto, Midori has a huge local following. Also on the program is Schumann's Spring Symphony. Saturday's performance is called a "Casual Performance", starting a half hour earlier than usual, and part of the program is cut, in this case Borodin's In the Steppes of Central Asia. After the show, there will be some sort of entertainment in the lobby, usually a Jazz Ensemble. Leading the TSO is Czech guest conductor Jun Maerkl.